Convert your existing alarm to be mute for a period of time. *** Please note that the input port can only accept dry contact input. (eg. a passive switch or passive output of a relay). The output port is only a simple relay output. Please check if the rating is suitable for your use. Alarm Input – Notification from external alarm system. Mute Switch – Switch input for muting the alarm. 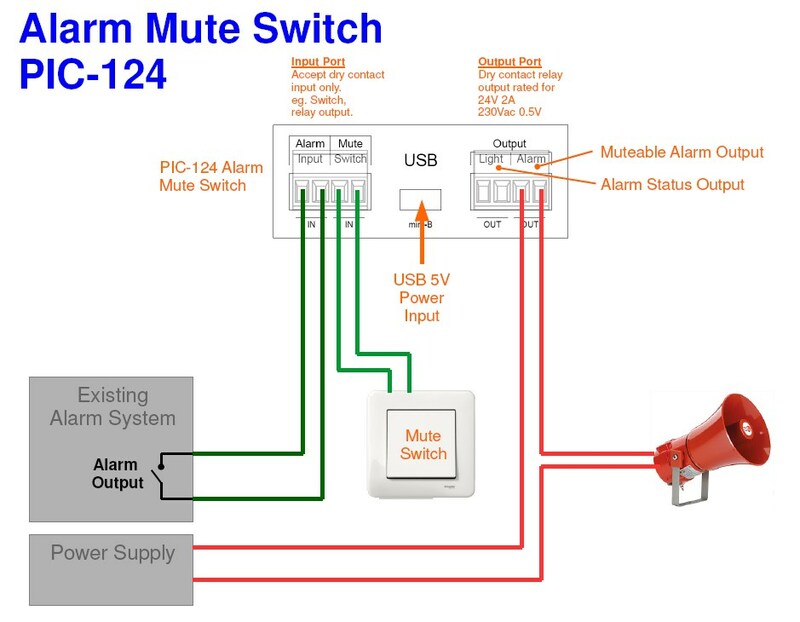 Output Alarm – Alarm output which can be mute by the mute switch. Note: There is an internal buzzer build in the device PIC-124. The buzzer can be disabled by pulling out the jumper on the circuit board inside the enclosure. Connect up the PIC-124 Alarm Mute Switch wiring connection. Both Output Light & Output Alarm will be activated. Pressing on the Mute Switch will deactivate the Output Alarm for 3 minutes. After 3 minutes, Output Alarm will be activated again. When Alarm Input is not active, both Output Light & Output Alarm will also get deactivated. Power up from 5V USB power supply. 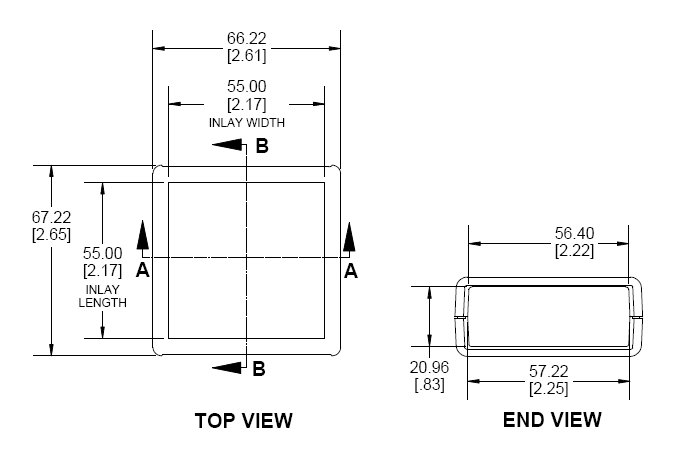 A panel mount switch can be solder and install on the casing if preferred. Alarm Input can trigger back the alarm even when muting is in operation. Customised Edge Trigger or Level Triggered mute switch. Customised Retriggering of mute time period. or contact PIC-CONTROL for further information.